Home > Education > Early Learners > Pittsburgh Plays! Visit the History Center to see the toys, games, and activities that kids growing up in Western Pennsylvania have enjoyed. 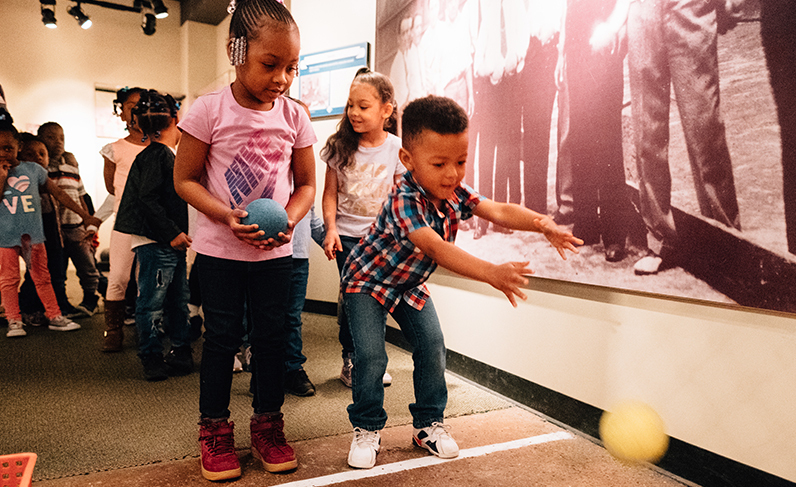 Children will play and learn about toys from the past, hear a story and do a scavenger hunt in “the museum’s attic,” visit the new Discovery Place exhibition to learn about new innovations in games made in Pittsburgh, and practice sports skills like jumping and throwing. Pittsburgh Plays Moving About Pittsburgh Pittsburgh Now and Then Zoom to the Moon! Would you like students to visit the Museum Shop? Does your group have any special needs or accommodations? Do you want to sign up for the History Center's teacher email newsletter? Do you want to sign up for History Center's bi-weekly newsletter?